On Saturday, April 15th, 2017, the Midwest Interventional Radiology Medical Student Symposium (MIRMSS) held its third annual meeting in downtown Chicago at the Hyatt Chicago Magnificent Mile hotel. The meeting, directed by Dr. Rakesh Navuluri from the University of Chicago, currently represents the largest regional meeting for both students planning a career in interventional radiology as well as those simply interested in learning more about the field. The meeting has increased its attendance since its inception three years prior, recently reaching over 300 students this past year from both US and international medical schools. 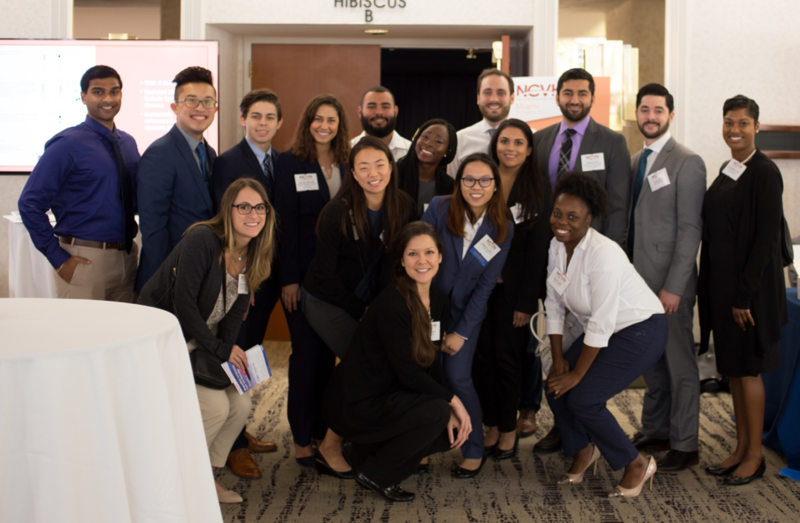 With faculty representing 10 academic institutions from across the nation, students were afforded the opportunity to interact and network with attending interventional radiologists and program directors considered the experts in their region and subspecialty. 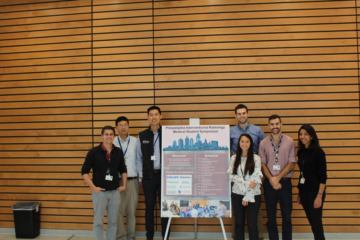 MIRMSS 2017 was subdivided into a general course for those students interested in gaining more exposure to IR in addition to an “advanced” course for those students already committed to pursuing IR residency. The general course was moderated by Dr. Navuluri and the Advanced course was moderated by Dr. Osman Ahmed from Rush University. Both sessions were held concurrently throughout the day with separate course curriculums and speakers to fit the knowledge level and specific goals of the attendees. An additional “women in IR” session was held in the morning with prominent female IR physicians in panel format to discuss the specific challenges and benefits for women considering IR as a career. 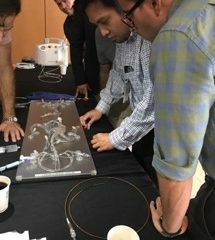 The event also offered a comprehensive hands-on session with introduction to various IR equipment and simulators during dedicated time intervals throughout the day. With over ten booths and workstations supported by various companies in the medical device industry, students had ample time to learn about the many tools used by IR’s in their procedures. The symposium was concluded by a networking event at a nearby restaurant and bar in the evening where students again had the opportunity to network and ask questions to the IR faculty in attendance. As interest in both IR and the MIRMSS continues to grow, we expect the meeting to keep growing and hope to collaborate with other institutions who also share our passion in improving IR education and student awareness of our specialty. Anyone interested in the MIRMSS can view our website at www.mirmss.org or contact Dr. Navuluri at IR@uchicago.edu.